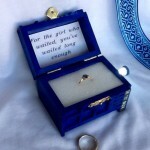 With Valentine’s Day this last weekend, I had a feeling that I might see some really geeky and awesome engagement ring boxes and it looks like I was right! 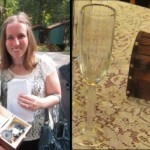 In the past, I have featured a couple of really cool Legend of Zelda treasure chest engagement ring boxes like this one that plays music and another one that has some great art work on it. 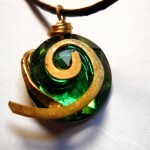 However, as cool as those are, I think this one with a floating rupee is my favorite! 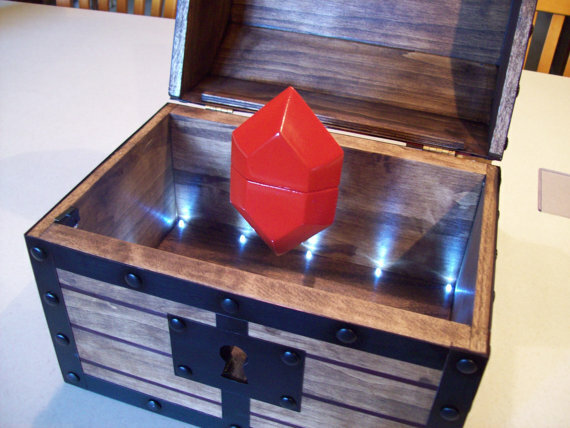 This handmade Legend of Zelda treasure chest engagement ring box with a floating rupee was created by Etsy seller IndyFurniture. 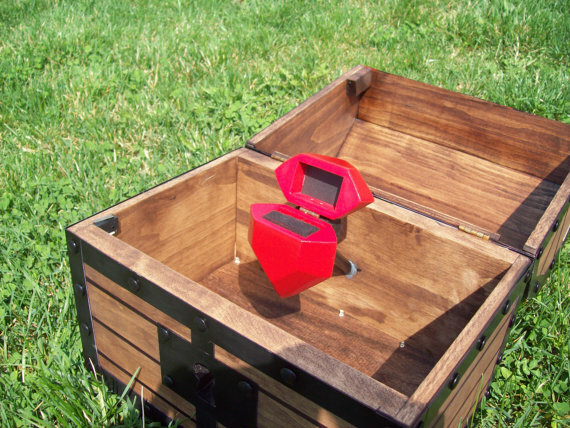 They are selling this Zelda engagement ring box for $60. 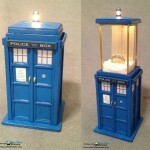 Not only does it have the cool floating rupee effect, but it has some lights on the bottom to make sure you have the perfect lighting for that special moment when you ask that special someone to marry you. 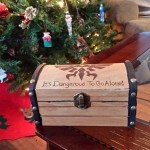 However, if you want the full effect, you will have to sing the treasure chest opening sound when you go to open it. 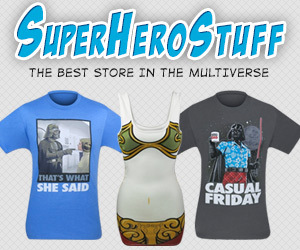 Every geeky shirt in our Geek Tees store is on sale for $14 RIGHT NOW!